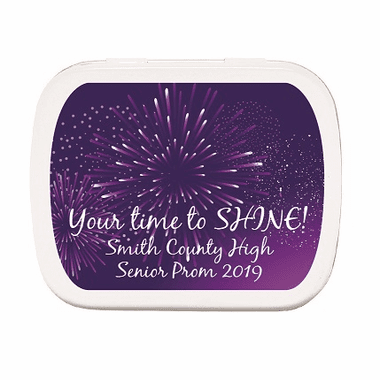 This is your night to shine, and our Prom Fireworks Mint Tins are a great prom giveaway to remember your awesome night with friends. 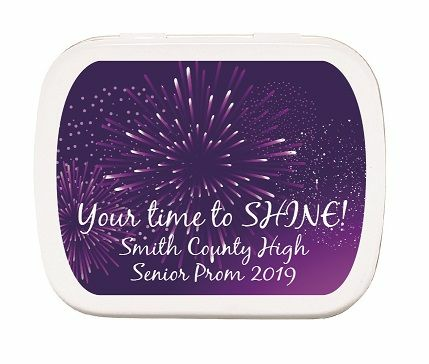 With the fireworks set against a beautiful purple sky, these tins come completely assembled with personalized label in a black or white tin and your selection of candy inside. 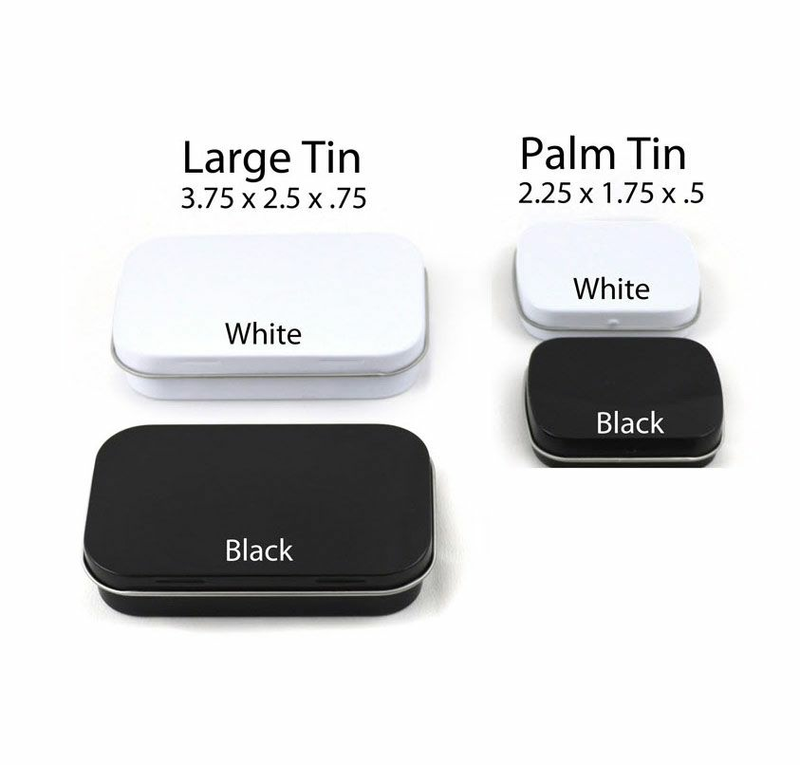 "Regular" size measures 3.75"w x 2.5"h x .75" deep and weighs about 3 oz. 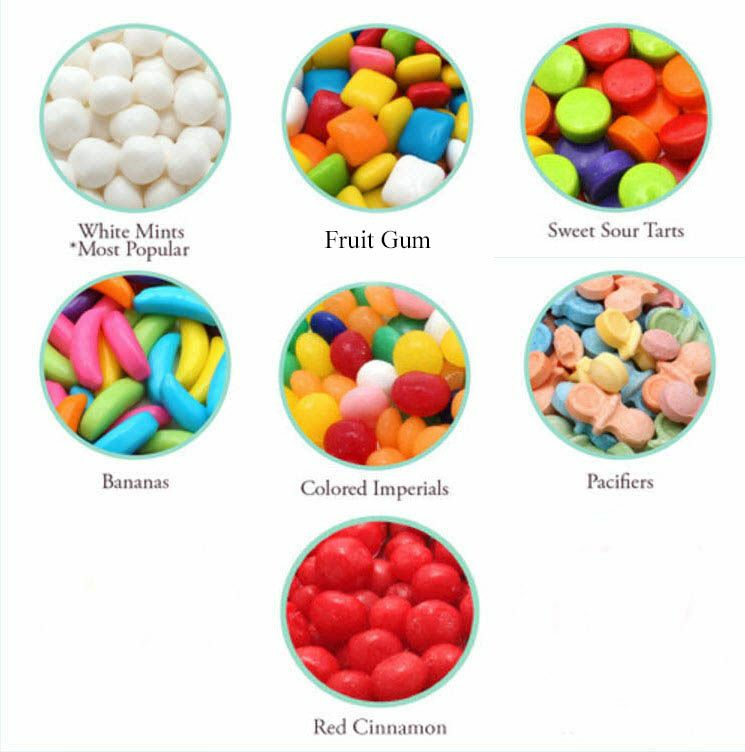 Price: $3.50 each.